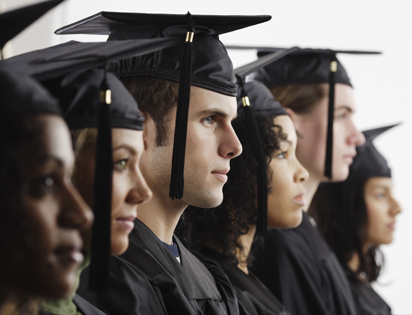 The TASSP Academic Excellence Recognition Program was established to honor and recognize high school seniors who have demonstrated excellence in areas of academic achievement, test scores and writing skills. The program will recognize twenty graduating Texas seniors with an unrestricted scholarship of $500. In addition, these twenty winners will be introduced at the general session of the TASSP Summer Workshop held in Austin in June and also honored there with a luncheon featuring the students, parents and their principals. Thirty finalists will be recognized locally with plaques donated by Jostens. Each Texas high school whose principal is a member of TASSP may nominate ONE graduating senior for this recognition. 65% of total score on their G.P.A. and SAT or ACT score. Scoring of the essays is done without knowledge of authorship. The top twenty will be selected as the All-State Academic Team and will be given a $500 unrestricted scholarship. The next thirty will be selected as Finalists and will be sent a plaque. The Texas Association of Secondary School Principals and its members recognize that students’ achievements often go beyond academic accomplishments. The TASSP Teens Serving Texas Recognition Program was established to honor and recognize high school seniors who have demonstrated excellence in areas of community service, leadership and personal accomplishment through unique endeavors, obstacles overcome or special talents. The program will recognize five graduating Texas seniors with an unrestricted scholarship of $500. In addition, these five winners will be introduced at the general session of the TASSP Summer Workshop held in Austin in June and also honored there with a luncheon featuring the students, parents and their principals. Twenty five finalists will be recognized locally with plaques provided by TASSP. Has a minimum cumulative grade point average equivalent to 3.0 on a 4.0 scale for the previous three years (freshman, sophomore and junior years). Is required to be pursuing the Distinguished Graduation Plan. Submits the application packet according to the guidelines and by the specified deadline. in Washington, D.C., from March 2-9, 2019. The United States Senate Youth Program is for high school students who demonstrate leadership and an interest in government. Students must be a junior or senior in high school to apply. In 1962, the United States Senate voted unanimously to endorse a nationwide youth program to bring high school students to Washington, DC for a brief introduction to the functions of the federal government. The program was created and authorized by Senate Resolution 234 and has been reauthorized ever since. The original resolution specified that the program be "supported by private funds with no expense to the federal government". As a result, The Hearst Foundations assumed financial support of the program and continues its sponsorship today. The annual United States Senate Youth Program authorizes the selection of 104 student delegates, two from each state, the District of Columbia, and the Department of Defense Office of Dependents Schools. The delegates are immersed in Washington activities throughout their week-long stay. Their stops include visits to the Senate, the House of Representatives, the Supreme Court, and the Pentagon. Delegates hear major addresses by senators, cabinet members, officials of the Department of State and the Department of Defense, as well as other federal departments. The Hearst Foundations pay all expenses for the week-long Washington stay, including transportation, hotel accommodations, and meals. Each delegate is also awarded a $10,000 college scholarship for undergraduate studies. Members of all branches of the US military chaperone the students for the week.